Suluban Beach is located in Pecatu Village, Uluwatu, South Kuta, Bali with a journey of approximately 60 minutes from Denpasar with normal traffic. Visitors to this attraction are not charged an entrance ticket, but only pay a parking fee of 5,000 rupiah per vehicle. Suluban Bali Beach is a beach with steep cliffs and big enough waves so it is suitable for water sports surfers. 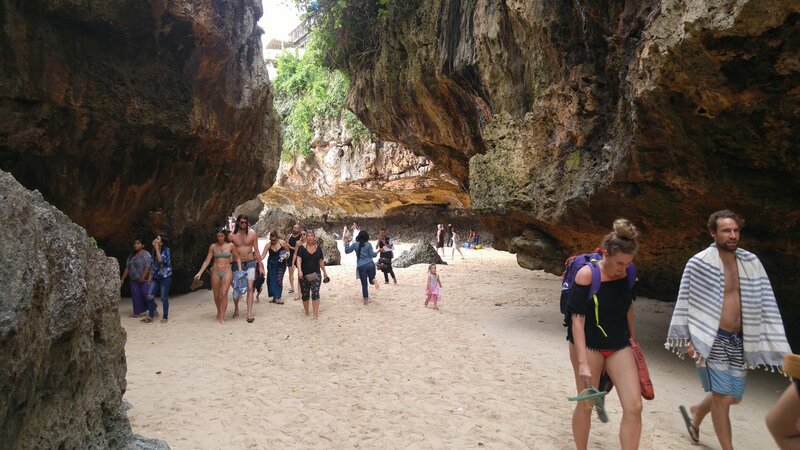 No wonder if you vacation at Suluban Beach, you will see more foreign foreigners than domestic tourists. Suluban Beach also has another name, Blue Point Beach. The name Blue Point Beach is pinned by foreign tourists because to remember the location of the beach there is a hotel located on the hill, namely the Blue Point Hotel. And the name Blue Point is widely known, especially because the majority of visitors to this beach are in fact tourists from abroad. If you visit Suluban Beach in Bali, you have to spend extra energy to reach the shore. This is because visitors have to walk approximately 200 meters from the vehicle parking area by going down the stairs. After passing the stairs about 50 meters, the visitors also have to pass through a narrower and smaller staircase that is flanked by cliffs of white rock, and not infrequently you have to queue to get past this ladder. Once at the end of the bottom step, your eyes will be presented with a view in the coral cave. If the sea water is high, sea water will enter the cave. Once you get out of the cliffs of the cliff, the beautiful view of the beach accompanied by the waves will welcome you happily at Suluban Beach. 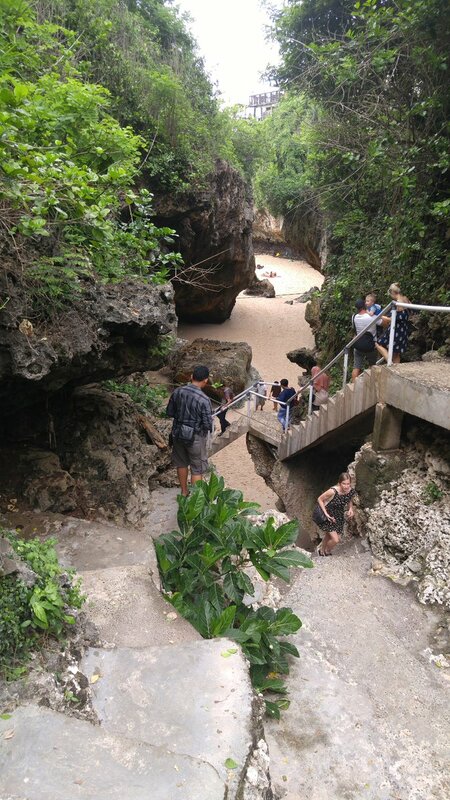 Because to reach the beach you have to go through a small alley under the hill, so don't be surprised if the beach here is called Suluban Beach. Suluban Beach comes from the word "mesulub" which in Balinese means "passing in something". Here are the popular attractions that are closest to Suluban Beach. Where you can choose to see nearby objects or activities that you might know and like. If you have interest to Suluban Beach, you can freely add it as reference to your Bali Tours future plan.